Selling your own products online is a great way to increase revenue for your business and make some quick money. Whether you are a small business owner, a pod-caster, or a publisher, you can always use the additional income to fund your future endeavors or expand your business. Creating a store for your project is one way to do just that. You have probably seen all the stores that sites create to generate more revenue. If your business has some following, there is no reason you can’t sell t-shirts, mugs, pens, and more. And don’t forget that these are great promotional tools, so it’s a win win. 1. 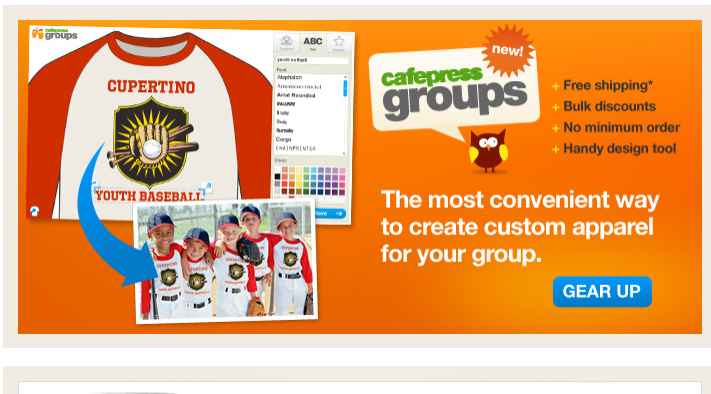 CafePress: it has been around for years. A great way to create and sell your own t-shirts. If you are creative, you can get some exposure for your site and make some money on the side. 2. Lulu: you have a passion about writing? 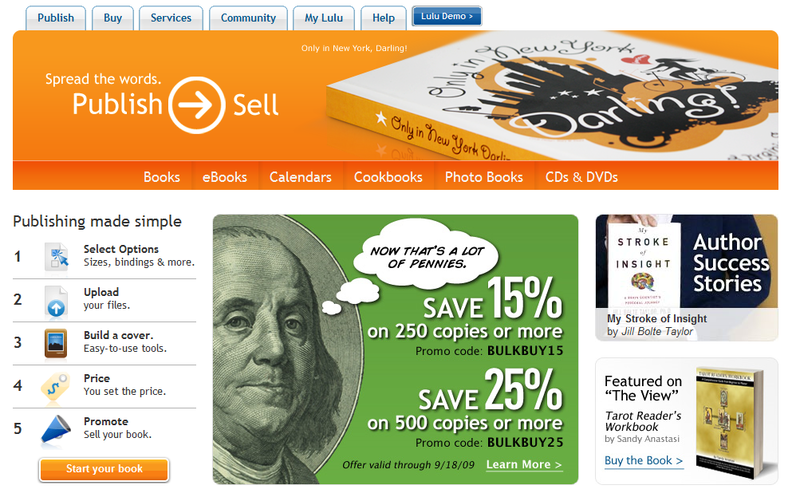 Lulu.com is a great way to publish your own book and make money from your work. If you are an independent writer, you are going to love using Lulu. 3. 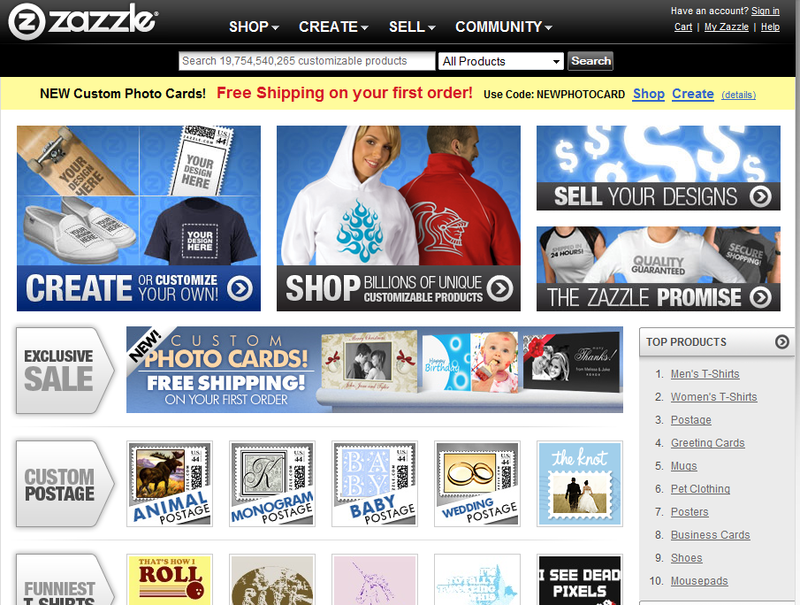 Zazzle: Zazzle is very similar to CafePress. You get to create your own merchandise and sell them to increase your revenue. Web 2.0 used to be a “cool” keyword to throw around a few years ago. But after a few years of seeing waves of Web 2.0 companies come and go, the concept is not too fresh anymore. But that hasn’t stopped companies (big or small) from making money with Web 2.0. The fact is, the industry is still growing, so you are going to have your chances to make money online from Web 2.0 one way or another. There are plenty of people who want to get started with their blog or start their own Wiki, which means they are going to have their needs and wants. So as a business, you are going to have the opportunity to come up with products that address your prospects’ needs and help you take your business to the next level. Unique Service: create a unique service that people want to use everyday. Take Twitter for instance. Do I think its founders knew they would get to where they are today? Not really. But they did identify some need and hit it right on the nail. They may have gotten lucky, but that’s what you need to make it big like they have. Social Apps: there are plenty of social networking sites around, and some of them allow you to develop your own apps. Developing a Facebook or iPhone app can go a long way towards bagging your company a lot of revenue. Mashups: mashups have been around for years now. But many have managed to build a business around popular sites such as Twitter or Facebook by developing mashups that provide value to their visitors. If you are innovative and like to think outside the box, opportunities are limitless here. Themes: many people are now starting to blog to make money or discuss their passions with the world. That means they are going to need a theme that they can use to customize their blog and give it a unique look and feel without breaking the bank. Here is where you come in (see Thesis). Membership sites: membership sites are on the rise at this post. If you can create a membership site that provides value to your customers on a consistent basis while allowing you to work on your other projects (through automation), you can earn a decent amount of money in the process (example). Training Videos/Courses: creating a training course for people who want to get started with Twitter or want to get the best out of Facebook is yet another way to make money from Web 2.0 services without taking on too much risk. Add-on Services: providing people with a way to create cool backgrounds for Twitter or build a business card with their social media information online are some practices that have paid off online already. There are plenty of other ways to take advantage of this approach. You just have to identify the need and get your service in front of your prospects. Social Media Management: guess what? Big corporations are also interested in taking advantage of getting their feet wet in the field of social media. And they are going to need you help, if you can convince them you can get the job done. If you are particularly good at throwing Facebook or Twitter campaigns, your service is going to be in demand. Be a guru and the sky’s the limit. Social Media Automation: not everyone can handle the load that social media puts on their business. That’s where you can come in and take over the process by helping them automate the process. Socialoomph is a great example here. Coverage: if you are into blogging and can cover Web 2.0 and other technology events like no one else, then you can make money with your blog too. Pro blogging is not easy, but if you are passionate about it, you can make it work. There are other ways that you can use Web 2.0 to take your business to the next level. Making money online with Web 2.0 is a science and art at this point. If you find that sweet spot and address a need in a unique way, there is no reason you can’t make money online with Web 2.0 services. You don’t have to be a genius to realize the money-making potential in the iPhone world. The iPhone is still one of the hottest gadgets on the market, and things are going to heat up even more with the release of iPhone 3.0. What does that mean for you as an entrepreneur? Simple! You’ve got to start looking for ideas to take advantage of the new changes in the platform. The time is now to recruit your team and work on your ideas. The new platform will allow programmers to sell more add-ons from within their applications, which means you can earn even more money. But you’ve got to move quick and try to learn what others have done to generate revenue from their iPhone applications. If you want to make a living from your iPhone efforts, you need to have an application that not only provides others with some value but could also go viral. Take iFart for example. It’s a very simple application that provides lots of fun memories for those who use it wisely. There are a lot of other apps that you can look at to get ideas about how to be successful with your iPhone development venture. Ultimately, it takes a bit of an effort to write applications for iPhone, so you don’t want to waste time and create something that people don’t want to buy. Address a need: this point is tied closely to the last two. The need to have fun, to kill time, to manage tasks, or to find things fast can help you sell more apps. Some needs people die to get. Some others, people rather address for free or pass completely. Market Research: do your market research to make sure what other applications address the same need as your app. You don’t want to create a paid application to address a need that is being fully addressed by a free iPhone apps on iTunes. Market your app: have you wondered why some application developers manage to extract $$$ from their customers even though their applications are not that much different from free iPhone applications on iTunes? Go Viral: you want to create an app that is not only useful but also encourages people to share it with their friends, colleagues, and others. The more innovative your app, the better chance you have of going viral. Customer Service: No matter how perfect your iPhone app is, there will be folks who will have trouble using it. Make sure to address their questions and create goodwill in the process. Updates: your job is not done once you have written your app. You’ve got to keep improving and listen to your customers to provide features that they are looking for. Add-ons: the new platform provides an easy way to sell add-ons for your apps on iTunes. Make sure you plan this out to maximize your profits. Price: Don’t get greedy. If you plan to have a long, profitable venture, you may want to price your first app fairly low to allow enough folks to try your product and get to know your work. Just remember a lot of folks give their first apps up for free. Being greedy can hurt you in the long run. You can also create both free and paid versions to give your potential customers a chance to test your app for free and see why they need to upgrade. There you have it. The more creative you get with your app, the better chance you have of make it big in this industry. Keep in mind creative doesn’t mean “cute.” You’ve got to provide a unique value to your users if you want to make it big time. I am afraid cute, useless apps won’t cut it here. Your turn: how much success have you had with your iPhone applications so far? How To Create Your Own Membership Site? There are many ways to make money on the Internet, but one of the hottest ways to make money on the net these days is by starting your own membership website. There are many folks who blog about what they love but don’t earn enough money in return. If you can offer value to your readers that others are not or can not, you may want to think about starting your membership site. Let’s say you know a lot about green technologies. You have two choices here. 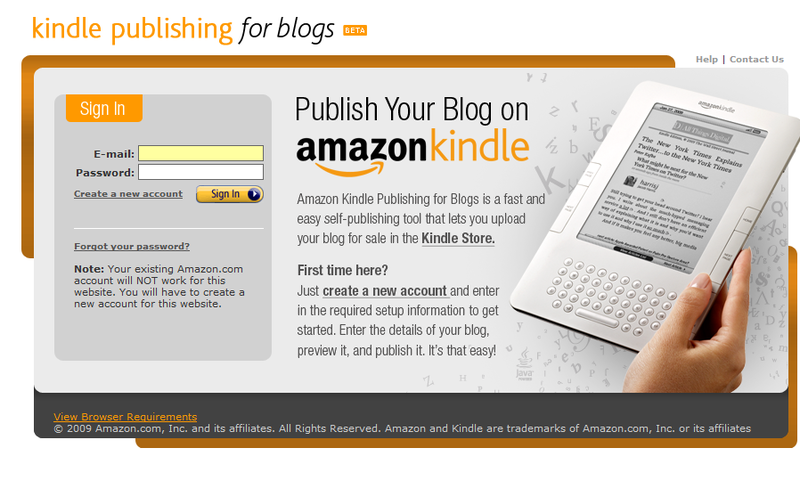 You can start a blog and monetize your knowledge through ads and affiliate marketing. Another way to approach this is creating a paid membership site that keeps your members abreast of all the developments in the eco industry. The choice is really yours. You have a unique understanding of an in-demand topic and want to start your first online business and want a stable recurring income. You already have an online business and want to add a continuity income stream. You already teach your topic offline. Creating a membership website is not that easy. You have to plan rigorously to make sure you have covered all the basis. It’s not just about creating content and getting people to sign up for your membership club. You have to find the right niche, and you’ve got to have a scalable software. You also have to drive traffic to your website and grow a real community around it. None of this can be done without proper planning. Market: not every market is right for membership sites. You want to make sure you are in a market that is ready for your site. Not only that, you need to find a niche that people are interested in. You don’t want your niche to be too broad. You want to differentiate yourself from other membership sites on the market, and one way to do that is through your micro-niche. Plan: once you have found your niche, you’ve got to plan how you are going to provide value to your members. How are you going to host your content? If you are going to have video on the site, your hosting costs can go through the roof! You are going to need a plan for your content factory as well. You should create a structure around your membership site and develop your content accordingly. aMember: aMember is the top membership site software on the market. If you watch the top membership sites (e.g. Immediate Edge) on the market, there is no doubt about the merits of this software package. It’s very scalable, and it allows you to integrate payment systems fast. It can also be used to setup free areas on site, requiring only registration, and no payment. MemberWing: MemberWing is a WordPress plugin that allows you to create your membership on the top of your WordPress installation. It gives you similar options to aMember. If you are a WordPress junkie, you should give MemberWing a try. Easy Member Pro: another sophisticated membership software that allows you to create your own membership site fast. And best of all an affiliate program is integrated in Easy Member Pro as well, so you can start your own affiliate program fast! Design: once you have the software, you need to design graphics and other marketing material for your site. You want to create a killer logo and use proper images to make your site easy on the eye. You also want to make the site easy to use. Content: putting content together is probably the most important part of this process. You want to include case studies, videos, audio files, and even tools for your members. Your goal should be to over-deliver. And you don’t want people to feel they are not getting any real value out of your membership site. That’s the key to sustaining your success with your membership site. Automation: running a membership site is not easy, which is why you shouldn’t shy away from using automation tools to save time and get more done in less time. Make sure you open an affiliate program to automate your marketing and promotion processes as well. Community: don’t forget that your membership site can’t be successful without a real community. That is why you should create a forum to get your members involved and keep them coming back for more. Create support groups and provide bonus material in you forum and people won’t stop coming back! Marketing: you can have the best content on the Web, but you won’t be making any real money unless you can convince people that you have valuable content for them. That’s where marketing comes in. Have you noticed how some folks sell the same content you can buy on Amazon for $20 for $997 on the Internet? Marketing! We are not talking about magic tricks here. You just have to show people why they shouldn’t live without your site membership. Promotion: dont’ forget that getting ranked high on search engines can help you generate lots of leads. If you are thinking about starting your membership site now, don’t wait till 6 months from now to get your own domain. Register your domain today and optimize it for the terms you want to get ranked for. Who doesn’t like free traffic? Don’t ignore the social media either. It’s one of the best ways to drive traffic to your website. Running a membership program doesn’t have to be hard, but there is a lot of planning involved. You can’t just come out of nowhere with your membership site. Make sure you understand the risks and costs and plan accordingly. These days there are a lot of opportunities in this business, but to win you need to plan and execute like a fox. If you do that, there is no limit to how much money you can earn.